This girl is a super cutie when she get’s wet! She gets a BURST of energy and either does a quick “shadow-boxing” workout in her doggy bed, or she rubs around in blankets trying to dry off! Posted by mz jenny lee on October 20, 2012 in Uncategorized and tagged Hoochoo. This was a few months ago, when Hoochoo was first learning to play :)! Posted by mz jenny lee on October 18, 2012 in Uncategorized and tagged Hoochoo, play, Webby. Webby and Hoochoo having a blast at the dog park in Icheon! Posted by mz jenny lee on October 18, 2012 in Uncategorized and tagged dog park, Hoochoo, running, Webby. Spay Day is Yay Day! 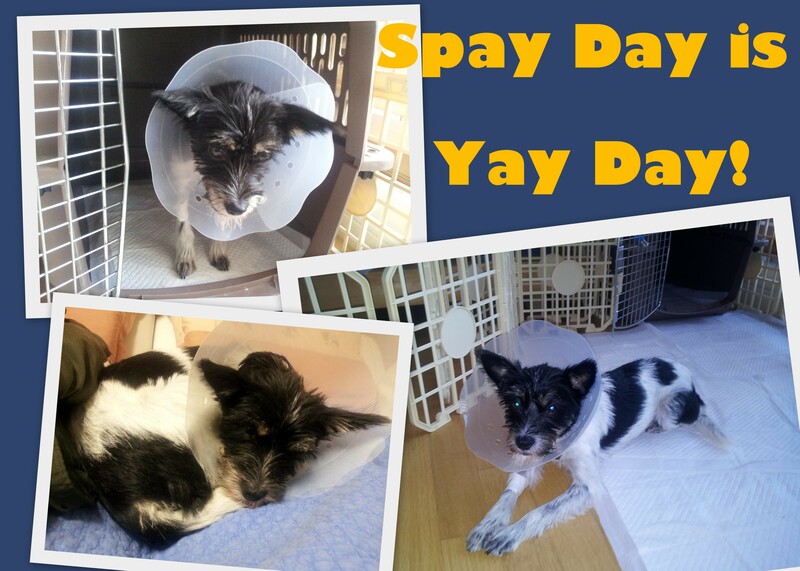 “Spay Day is Yay Day!” is a fun expression my devoted animal rescuing friend, Amanda, introduced me to. Hurray for Hoochoo—one less dog contributing to the problem of doggy overpopulation, shelter overcrowding, and needless doggy euthanization~~~! 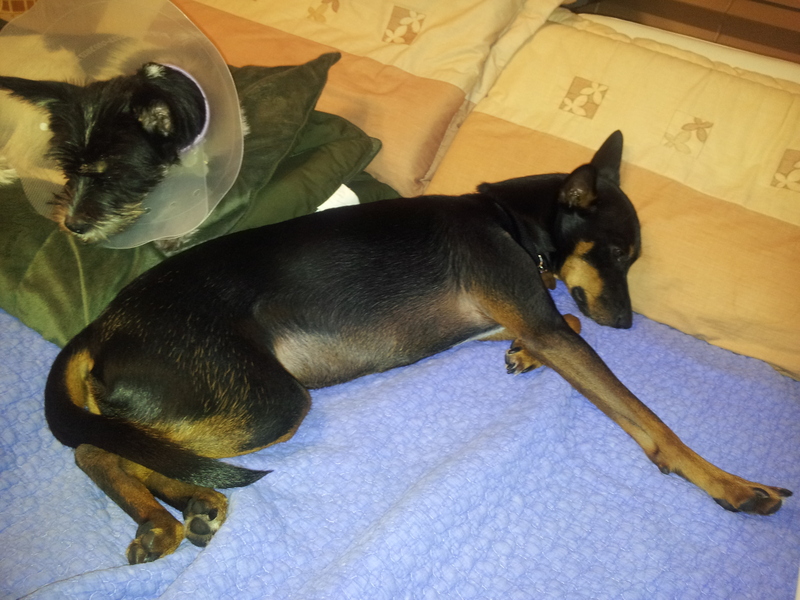 Posted by mz jenny lee on October 15, 2012 in Uncategorized and tagged Hoochoo, spay. This picture gives new meaning to the phrase “at an arm’s length.” I can’t get over how Webby’s stretched out leg is nearly the same length as her body! Posted by mz jenny lee on October 14, 2012 in Uncategorized and tagged long legs, Webby. I love how Hoochoo looks like she’s floating on air in these pictures. And notice the crossed hind legs in the stretched out picture—how lady-like! Posted by mz jenny lee on October 13, 2012 in Uncategorized and tagged Hoochoo, sleeping. 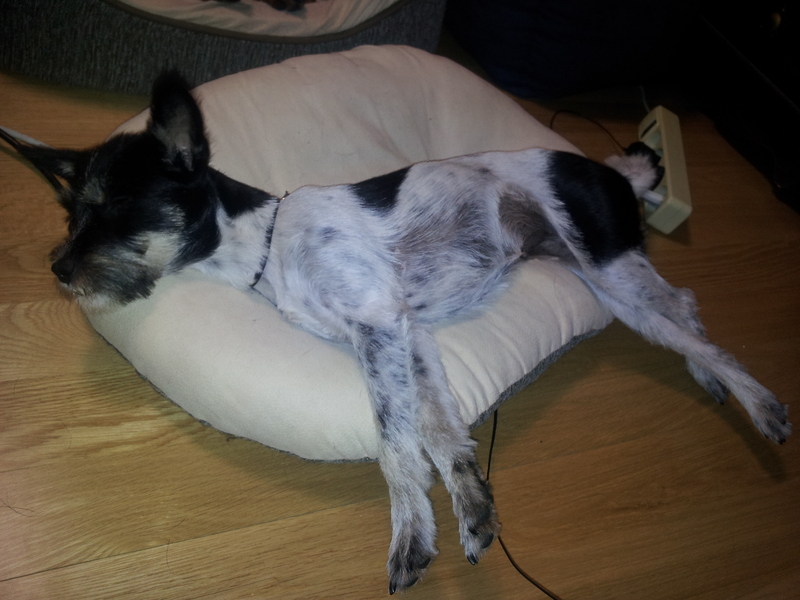 Posted by mz jenny lee on October 12, 2012 in Uncategorized and tagged Hoochoo, sleeping, Webby. 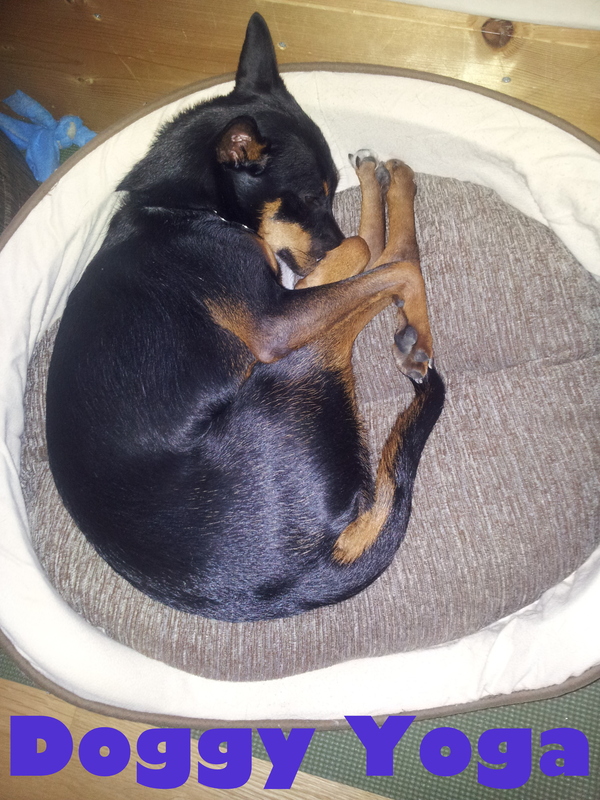 I know this isn’t remarkable for a dog, but I still marvel at her flexibility and long-leggedness! Posted by mz jenny lee on October 11, 2012 in Uncategorized and tagged long legs, Webby. My husband and I took a day trip to Gangneung, a city on the east coast of Korea. We decided to take the dogs along so they could experience the beach. Although we would have loved good weather for our trip, the rain did provide one key benefit: an empty beach! 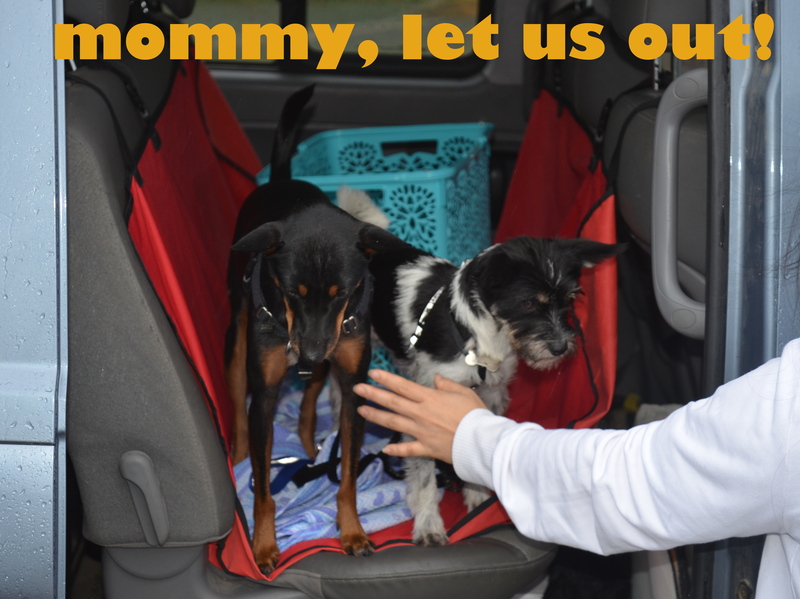 As you can see in the picture above, they were eager to get out of the car and stretch their legs! Posted by mz jenny lee on September 17, 2012 in Uncategorized and tagged beach, Hoochoo, Webby. 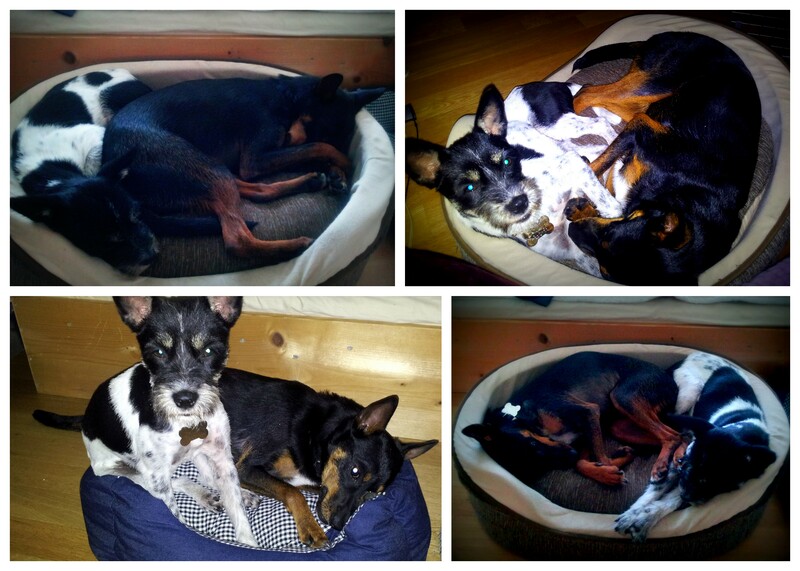 As I discussed in “Battle of the Beds,” Webby and Hoochoo have the strangest sleeping arrangements. Initially, Hoochoo kept squeezing into Webby’s bed, and Webby is so mild-mannered, that she put up with the extra bed mate without complaint. I decided to step in by buying Hoochoo her own little bed, but then found that Webby was often squeezing into the little bed, with or without Hoochoo. Posted by mz jenny lee on August 21, 2012 in Uncategorized and tagged bed, Hoochoo, Webby.